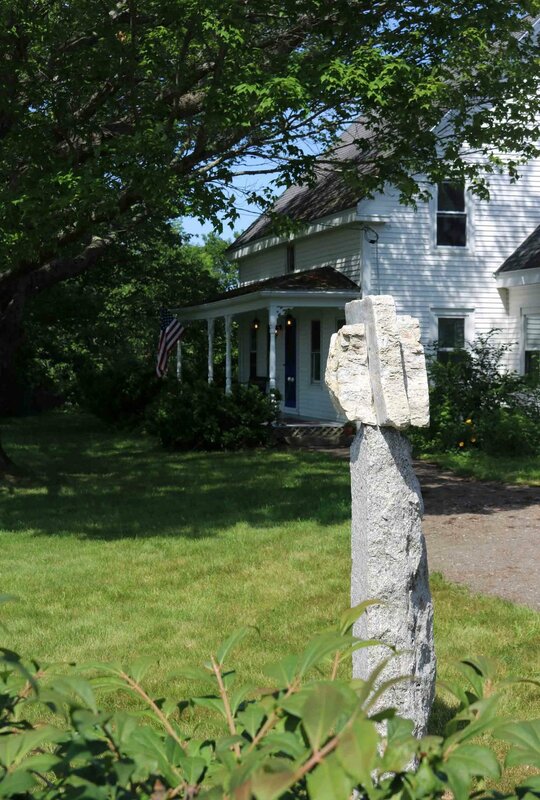 Dan’s individual sculptures exhibit simplicity of form and celebrate the beauty of the stone itself, while his larger outdoor installed works reflect a respectful use of natural forms thoughtfully placed in a purposeful setting. Dan Ucci is an established artist/craftsman who began working with stone as a landscaper over a quarter of a century ago. He is a sculptor whose work combines assemblages or collages of found and often times recycled stone with a minimal amount of carving or embellishment.